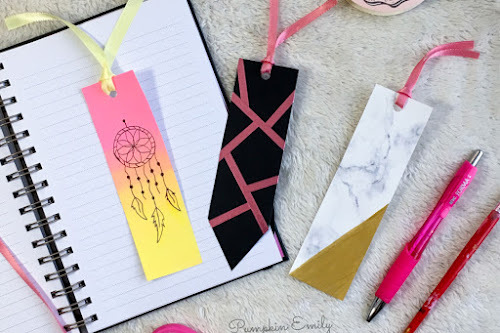 This is a fun and easy DIY that is perfect for any room. Most especially if you love music, want to give your wall a makeover, or you don't have to love music you can just do it for fun. 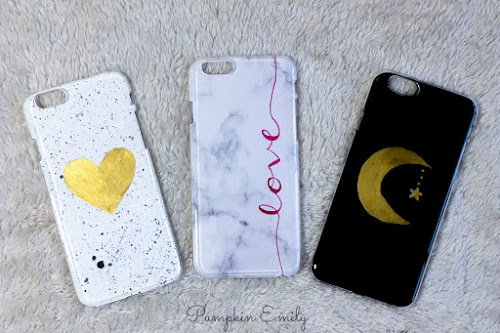 I got my inspiration from a Youtuber named DazzleDIY. She did song lyrics from One Direction and a few others. Thank you for the inspiration. I thought this would be a good idea for my room because I took off the shelves and other stuff from my wall and it looked really boring. It needed some kind of art or picture there. Depending on what your going to do you, if your do it like how I did it you will need a computer and a computer program or a online program to create your lyric art. The first thing you must do is create your lyric art. You can make the lyrics in any computer program, online editing program, or you can draw the art yourself. You can go download new fonts to your computer. There are many font sites and font styles out there. Don't put the lyrics on the edge of the picture. This is because when you glue the art on to the cardboard or poster board you are taking the art and wrapping it around the edges. You'll see what I mean at the end. I chose five songs. 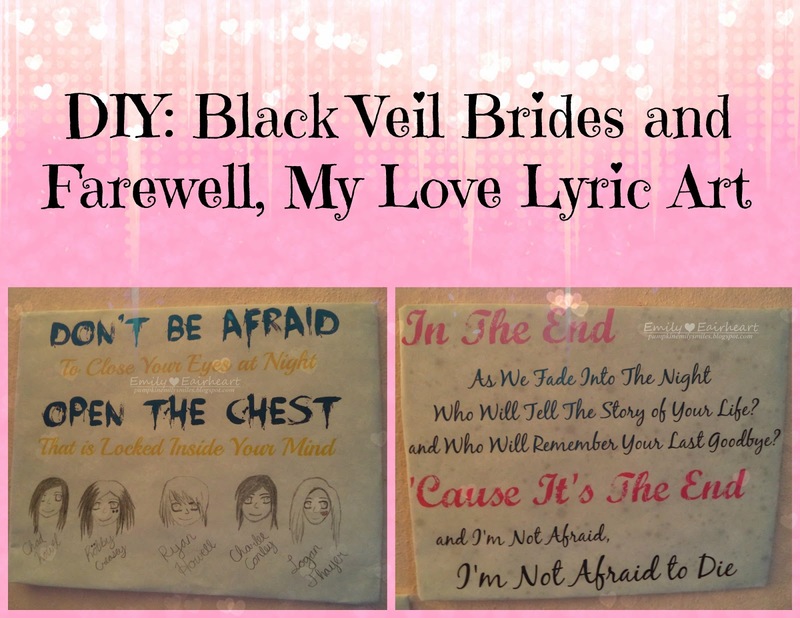 Three from Farewell, My Love and two from Black Veil Brides. You can to more or less depending on what you would like to do. I used a few lyrics from the songs called Mirror, Mirror, Afraid of the Dark, Queen of Hearts, Perfect Weapon, and In The End. Go check out their music videos or lyric video by clicking one of the names of the songs below. There's no current official music video or lyric video for Queen of Hearts but it's my favorite song by Farewell, My Love. I'm trying to widen your guys or ladies music selection. They are both very good bands. You don't have to use lyrics from Black Veil Brides or Farewell, My Love. I used lyrics from my favorite songs by them and they are two of my favorite bands. You can use One Direction lyrics or anybody else. If you did your lyric in a computer program, you will have to print your lyrics out. After you print out your lyric art you can draw the logo or you can draw the members. I used my Farewell, My Love necklace to give me an idea for the shape of the logo. After I drew the logo I painted the logo gold. The reason that I painted the logo gold is because the logo is gold and their album is called Gold Tattoos. I also drew all five members of Farewell, My Love as cartoon characters. Before you cut out a piece of cardboard out, you need to measure a little bit smaller than the art that you created. This is because the edges are going to be glued to the back of the cardboard. Place the lyrics underneath the cardboard and take the glue gun and glue along the edge of cardboard and then place the edge of the paper onto the glue. Do this for all sides. It should look similar like this. You might want to have extra room on the corner of the lyric art to glue it together. I didn't think about it until I started to glue it together. I used mounting putty/fun tack to use for hanging up the lyric art. It holds up all of my posters longer than tape most of the time. You can place the lyric art any way you want. This is how I placed my lyric art on my wall. Here are a few close ups of the lyric art. Hopefully, you guys or ladies liked this DIY. Tell me what you think in the comments. If you're going to do this DIY, what song from what band or singer are you going to use? Later in the year I might make more of these. I'll definitely share them if I make more.